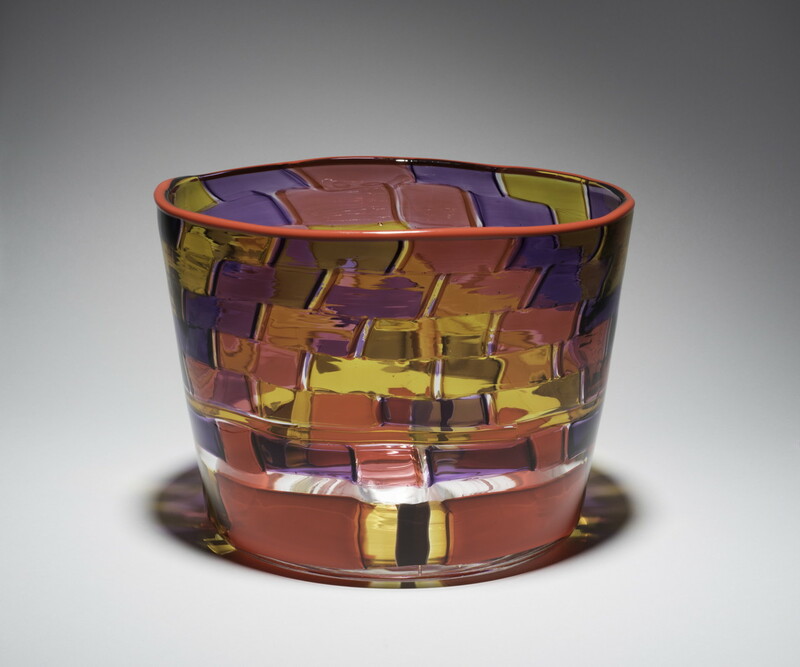 With the examples of glass artist and former Chihuly team member Preston Singletary (Tlingit) and printmaker Joe Feddersen (Colville), other Native American artists in the Puget Sound area have explored glass as a medium of cultural expression. In Translations, Tacoma’s Museum of Glass illustrates its capacity to enable creators to make the art right there in its Hot Shop studio and show it in the best settings. Organized in a unique partnership with the Longhouse Education and Cultural Center at Evergreen State College in Olympia, Translations spotlights artists who collaborated on a body of work alluding to bentwood boxes, woven cedar bark baskets and carved figures. They are family members of Mary Ellen Hillaire (Lummi), Gerald Miller (Skokomish) & Hazel Pete (Chehalis), and were guided by glass artists Dan and Raya Friday (Lummi). Their works were inspired by original pieces in the families’ personal collections, some of which are part of the exhibition, as well as the archival collections of the Washington State Historical Society.